When starting your very own business, it’s very important that you know everything from how you’re going to start it up to how you’re going to keep it running. You have to understand that there are many different factors that can contribute to a business’s success or failure, meaning that you will need to know what they are and know how to use them. You can also read restaurant business plans. This means that you are going to have to come up with a plan to ensure that the business you have decided to start and run can reach towards the path to success. 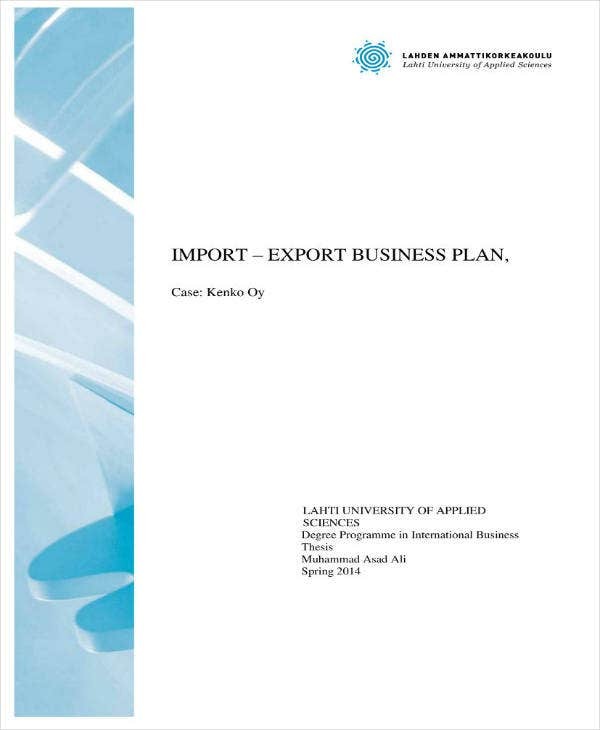 And that’s why this article is going to teach you how to make an import and export business plan template. Take note that the purpose of having this type of sample plan is to point out all of the details regarding what it is that you should do so that you can successfully start up and run your own business. 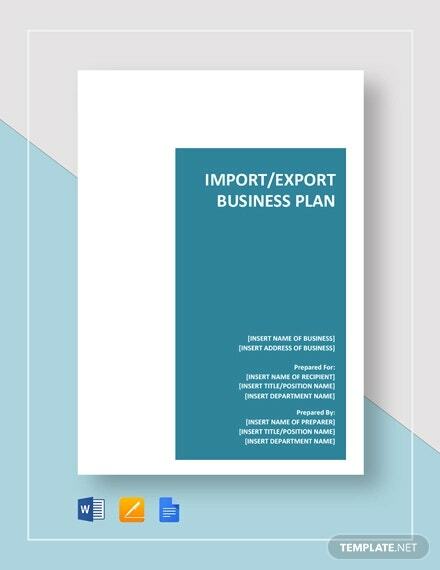 Having a business wherein you import and export different products can be difficult as there are many things that you will need to consider in order for operations to run smoothly. So long as you know what you’re doing and that you and your employees follow all of the necessary procedures, then you shouldn’t have to worry about your business not seeing any sort of success. You may also see successful business plans. The first step that you need to take when coming up with this type of plan is to write down your business’s vision and mission statement. These two are vital in the sense that is what you’re going to base all of your business’s sales and marketing strategies from. Also, potential investors will want to learn about both as it will give them an idea as to what it is that your business is aiming to do. So start off with the mission statement example. You just need to think about what kind of purpose your business is going to serve. Since we’re talking about one that deals in both importing and exporting specific products, all you have to do is base your mission statement on that. Think of your mission statement as your business’s main objective and write it in a way that readers can easily understand. Once that’s done, you must then point out your vision for your import and export business. What kind of future do you see for your simple business? How much success should it have attained after a couple of years? Basically, what do you want it to become? This is something that you and your employees will be working towards and knowing exactly what that something is should motivate everyone to work harder. Just be sure that the vision is something that you know your business can achieve at a certain point. You want to make sure that people are working towards something that can actually be attained, as anything other than that will give them a reason to lose motivation. You may also see marketing business plans. As you’re writing down both, be sure that you explain them in full detail. Both the mission and vision statement must be expressed clearly enough so that the people reading will know exactly what it is that you want your business to do and what you want for it in the future. You may also see sample business plan outlines. To make things clear, you’re going to have to write down the number of expenses that your business will need to make in order for it to operate. This is important for two reasons. The first is that it will help you realize how much capital you’ll need to both start and run your business, helping you decide where you can acquire the funds needed or how you’re going to acquire it should you have any need to. The other is that the information will be something that will help investors decide as to whether or not they should help fund your business. You may also like market analysis business plans. Think about the first few months of operation, typically around three. See what it is that has to be done and calculate the amount at the end of the time period. You can also see tutoring business plans. Then you are going to have to think about what it is that your import and export business is going to need in order to operate. 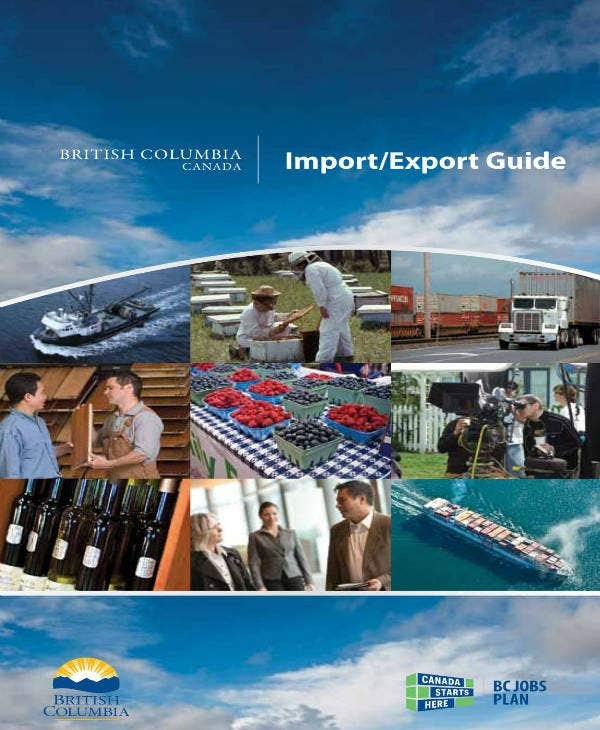 What are the products that you are willing to both import and export? What kind of equipment do your employees need? What about the transportation and the delivery fees? How much do you have to pay your employees? These are all thing that you will need to cover. You can also read jewelry business plans. Once you’ve made a list of all the different expenses, be sure to include the estimated or actual value beside the respective type of expense. Try to get the actual value as you’ll want everything to be as accurate as possible. Once that’s done, all you have to do is to come up with the total of all the expenses that will have been settled. Remember that knowing how much everything will cost will be very useful information for both you and your potential investors. You may also see bar business plan templates. 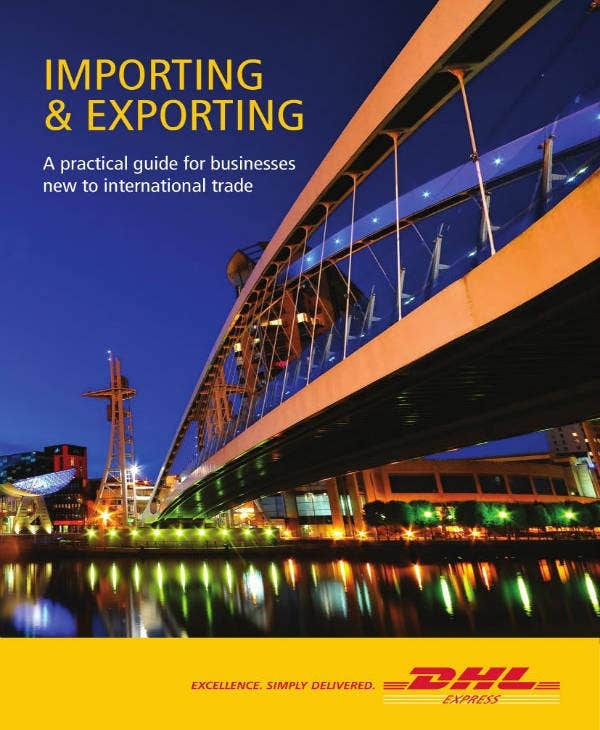 When it comes to running an import and export business, it’s very important that your employees know exactly what it is that they need to do to ensure that they perform in a way that meets both standards and expectations. Which is why you will need to provide all of the policies and procedures that they’re going to have to follow so that all of the daily operations go smoothly. You may also see coffee shop business plans. Take note that you want to cover everything from the manufacturing process, the importing and exporting of goods, the different tasks that your employees will need to be assigned with and more. You can also see personal business plans. Be sure that whatever you’ve written down in this sections is easy for your readers to understand. This is very important as you’ll want everyone to follow all the rules and regulations to ensure that the quality of the performance of your business is maintained at a high value. You can also read the consulting business plan. The people who are going to be working in your business and your potential investors will want to know exactly who does what. This is why you are going to have to provide information on your business’s inner structure, meaning that you need to show which employees have more authority and more complex tasks to complete over others. You may also see HVAC business plans. First, you’ll want the structure to start off with the shareholders. Then you move your way down by coming up with a list of all the roles such as the CEO, those in management, employees who are in charge of transportation, etc. Make sure that you are able to provide a list of what it is that each role should do that will allow the company to operate on a daily basis, as well as what the company stands to benefit from them. You can also see bookkeeping business plans. Basically, you’ll want to provide information on the names of these people, what their assigned roles are, and the tasks that come with their job description. Although you already know the steps that will allow you to make one, there are still things that you can do which will make your plan even better. Make sure that you gather all of the documents you need – When you’re coming up with a list of the expenses that your business needs to make, it’s best that you are able to acquire all of the documents which can help you come up with the total amount. What this means is that you will need things like your profit and loss statement, any receipts that you may have kept for business-related expenses and more. Always underestimate your potential sales and overestimate your expenses – It’s best that you do both so that you won’t be surprised by the amount of you have to shell out to pay for the expenses, and so that you won’t be disappointed in the event that your business didn’t gain exactly how much it was supposed to. Proofread and edit – Once you’ve written down all of the details, you want to check for any errors pertaining to grammar, spelling, and information. Make sure that you go through the document plan twice or you can have someone you can trust to help you spot any mistakes that you need to fix as soon as possible. You can also see commercial photography business plans. If you would like to learn about the other types of sample business plans that you could possibly make, then all you have to do is to go through our site. It has many different articles and all of them should have the information which you’ll need. Just be sure that you read these articles thoroughly so that you can make the most out of what they have to offer you.